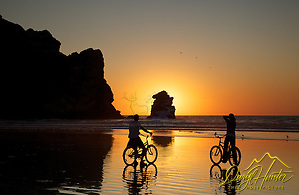 Bicyclers silhouette by the setting sun admire sunset on the Beach at Morro Bay in San Luis Obispo County of California. 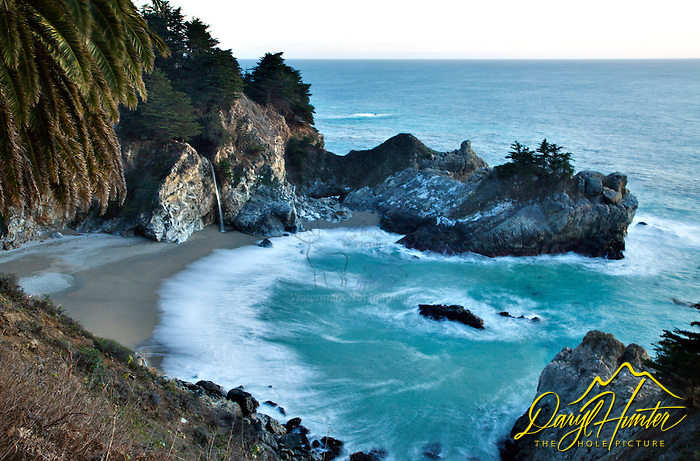 In 1962 as a child my family drove through Carmel California, even at eight years old I was awe struck of the beauty of the town. My mother explained the reason Carmel is so beautiful is because it is against the law to cut down any of the trees, I pondered aloud, why doesn’t every town do that. A few years later my hometown, San Luis Obispo California, did enact all kinds of restricted zoning like Carmel’s. Consequently, the town became more attractive, then it became a prestigious address. I now couldn’t afford to move back to where I was raised even if I had the desire to. This town is now populated with what is colloquially known as “grey gold,” wealthy retired people who came for a holiday and were so impressed they stayed. This put more demand on a limited supply of homes and land which ran up the property values so high that natives could no longer afford to buy there. 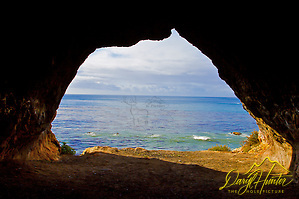 Pirates Cove cave at Avila Beach in San Luis Obispo County California. I have lived in many resort towns since, and I have noticed a trend, I am attracted to them when they are still small, quaint, and undiscovered, but it usually isn’t long before word spreads about this next great place. The newcomers arrive, and they marvel at the scenery but yearn for a classier looking town. Then comes the planning and zoning as they had back home. Everyone’s property value goes up, and everyone is happy. The town no longer looks like an old farm town; it starts looking like cool mountain town, a hip college town or a funky beach town that will soon be on the cover of Outside or Sunset Magazine. Lycra clad bicyclers start outnumbering cowboys and farmers, it looks like a whole different place and it is. Planning and zoning has made a very attractive place for people who never lived there, and the children of the locals can no longer afford to stay. 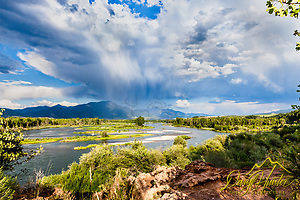 While moving to Jackson Hole Wyoming in 1986 I drove through a beautiful wide spot in the road called Swan Valley Idaho, I marveled at the natural beauty of the valley but wondered why everyone left it so run down. Later while living in Jackson Hole I watched as it turn from where blue-collar folks could live into a glitzy Beverly Hills type community where they couldn’t. Squeezed out I moved to the pretty run down wide spot in the road, Swan Valley. Newcomers arrive not only with money but also with a set of personal values often at odds with the natives of a community. The lycra clads don’t want us to take any timber off the mountain, don’t want us to go there on a snowmobile or 4-wheelers and don’t want us to put out the wildfire that’s burning there yet we zone our communities that attract folks like this that will want to change our way of life. I have come to realize after watching so many places get discovered by the rich why it may be better to leave a place a little run down or maybe do some zoning that includes the working man and maybe the working man’s grandchildren. I have worked in Jackson Hole, fifty miles from my home, for 26 years and I have seen many of Jackson’s own born and bred have to leave to make room for the well heeled that financially displaced them. It’s nice to see your property escalate in value but if you don’t plan on selling out you are just building yourself a bigger property tax bill that you may not be able to afford after you retire. I imagine that when I can’t work any longer my high property taxes will require me to sell out for a nice profit, but then I will have to move to an unattractive, less desirable community like Mud Lake where the property and property taxes will still be affordable as no one wants to live there. My new home Swan Valley is entering this mentality. We have outlawed city lots, mobile homes not on foundations, mandated snow-loads for roofs that eliminate the ability to buy economical used mobile homes, and designer septic tanks that ad $41.00 a month to a mortgage. It all seems like such a good idea until we are old and must move away from where we sunk our roots because of taxes on “value” we would have been wise the thwart. It dumfounds me that comprehensive planning in resort areas rarely factors the planner’s progeny or retiree’s property tax liability into the equation when designing a plan. \Com`pre*hen”sive\, a. [Cf. F. compr[‘e]hensif.] 1. Including much; comprising many things; having a wide scope or a full view. A very comprehensive definition. –Bentley. Large and comprehensive idea. –Channing. 2. Having the power to comprehend or understand many things. “His comprehensive head.” –Pope. 3. (Zo[“o]l.) Possessing peculiarities that are characteristic of several diverse groups. Posted on Monday, December 17th, 2012 at 7:17 pm. 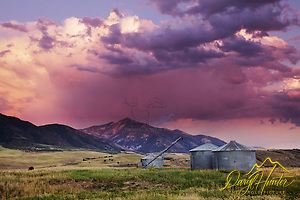 Filed under: Blog, My Muse Tags: agenda 21, agenda twenty one, california, Carmel, comprehensive plan, consequences, growing pains, growth, Idaho, Jackson Hole, planning zoning, Resort Town Curse, San Luis Obispo, Swan Valley, taxes, urban planning, wyoming	RSS 2.0 feed.